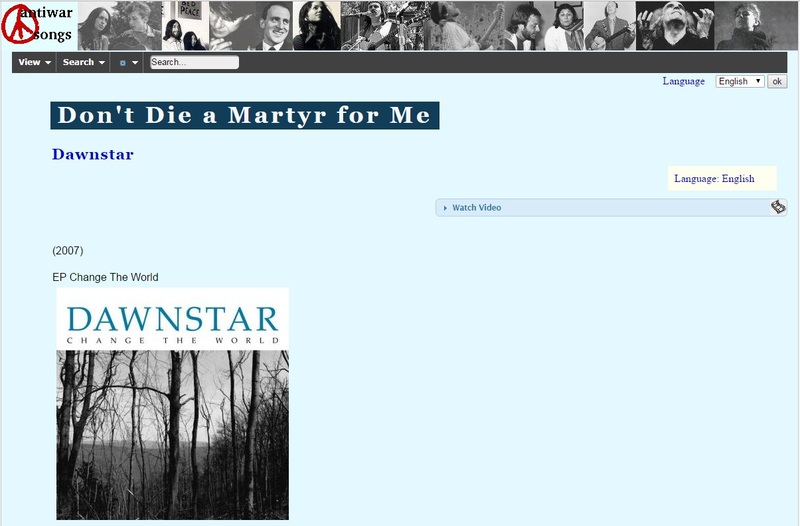 We are proud to announce that Dawnstar's Don't Die A Martry For Me was featured on the Antiwar Songs Italian website. 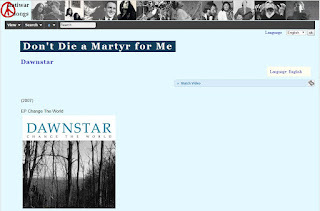 As you know, Don't Die A Martyr For Me was released on Change The World in 2007. The song tells the story of a young suicide bomber who wants to kill a lot of people. However, he falls in love with a young girl who tries to dissuade him. The song tries to show the aimlessness of wars in general. Nevertheless, Attila Wind said in an interview that the song was written during the war on Iraq and he was deeply saddened by the news and events he was watching on TV at that time. According to Attila Wind, Don't Die A Martyr For Me is a straightforward punk-rock or indie-rock song which hits you in the face to realize that there is something really bad going on in Iraq or in general on the world. While writing the song, we decided not to embellish the song with any musical elements just leave it as it is, simple.